It's that time again. 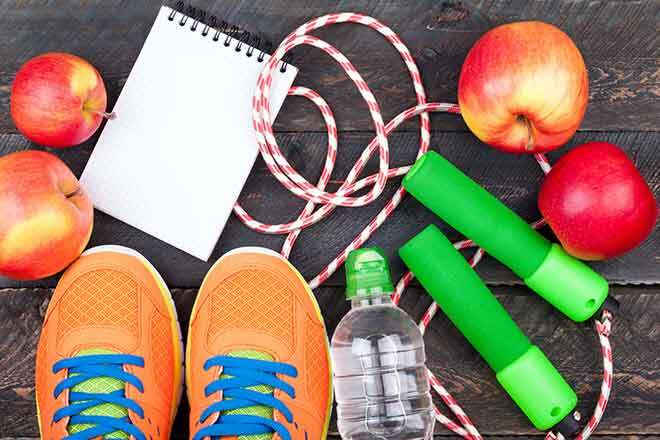 The U.S. Department of Health and Human Services just released a new edition of the Physical Activity Guidelines for Americans. That sound you hear is Americans collectively sighing. Let's be honest: Physical activity guidelines can be tough. As behavioral scientists with expertise in exercise motivation, we will be the first to admit that maintaining a physically active lifestyle isn't easy. This is what we do, and we don't even always hit the goal. Life is messy and often gets way of even the best intentions. Let's take a deep breath, unwrap these new guidelines and talk strategy. The good news is that the guidelines now recognize that fitting in big blocks of time for exercise is not necessary to get health benefits. For the first time, the guidelines don't require that physical activity occurs in bouts of 10 consecutive minutes or more to be valid. All activity counts. So that climb up and down the stairs at work every day counts toward your goal (as long as you're raising your heart rate). The new guidelines also emphasize a "move more, sit less" message to encourage everyone to do just a little more physical activity and to spend a little bit less time sitting. Physical activity isn't all or nothing. Every little bit comes with health benefits, so if reaching the guideline seems overwhelming, that's OK. Just try to do a bit more than you did yesterday. Improvement counts as success whether you meet the guidelines or not. If you feel the guidelines are overwhelming, you are not alone - this is one of the most common complaints about the guidelines we hear from the thousands of people we have studied and counseled in exercise programs. People often feel hopeless about changing their lifestyle dramatically. One way to tackle a large goal is to break it down into smaller pieces. The first goal you set should be a pretty easy goal - so easy you should be thinking, "Oh, come on! That is too easy!" Say, for example, you get about 30 minutes of exercise per week. Could you increase to 35 minutes per week for the next three weeks? Once you've nailed 35 minutes for 2-3 weeks, bump it up to 40 minutes. The idea here is that you are building slowly, getting used to each step before moving onto the next step. Each step is also enhancing your physical fitness and conditioning so the next step won't feel much more difficult than the one before. From a time management perspective, sneaking in an extra five minutes here and there is also far easier than finding time blocks of 30 to 60 minutes. If you are far from 150 minutes right now, forget about 150 right now. Come up with a goal that is "Oh, come on!" easy and then go from there. You can track your progress with wearable devices, smartphone apps or good old-fashioned pen and paper. However you track your progress, it is important to have a plan that you can track and keep trying to raise the bar for yourself - ever so gently. The experts call physical activity the "best buy" in public health. And the guidelines are based on evidence from thousands of studies. Based on this evidence, an expert panel concluded that exercise increases our lifespans, prevents that sneaky annual weight gain and reduces the risk of almost every chronic disease: cardiovascular disease, diabetes and many cancers. No other single behavior can do as much good for your health. By investing some time into exercise now, you get to cash in later. Think of it as the 401K for a long, healthy and happy life. Of course, we don't always make decisions in our long-term self-interest. We are wired more toward immediate rewards, and many health benefits of physical activity take years to appear. Some may be hard to notice at all, like preventing heart disease. Fortunately, exercise has many immediate benefits. One of the biggest is the "feel good" effect afterwards. People consistently feel more focused, less stressed and more energized after physical activity. In fact, studies now show that regular physical activity can actually reduce anxiety and depression - with effects equal to antidepressant medication or psychotherapy. We are all just one workout away from feeling better than we do right now. One word of caution: Be careful not to push too hard too soon. Exercising hard can feel unpleasant. Most people don't repeat activities that feel unpleasant. Find something you enjoy and keep it fun if you want that behavior change to stick. When you hear all the news about the new physical activity guidelines, try not to let it discourage you. Set the numbers aside for now and just ask yourself, "How can I move a little more and sit a little less than I do now - and how can I make it fun?"